Kids are headed back to school and the weather will soon turn as well. More muddy shoes and paws will be entering your homes this fall, are you ready? 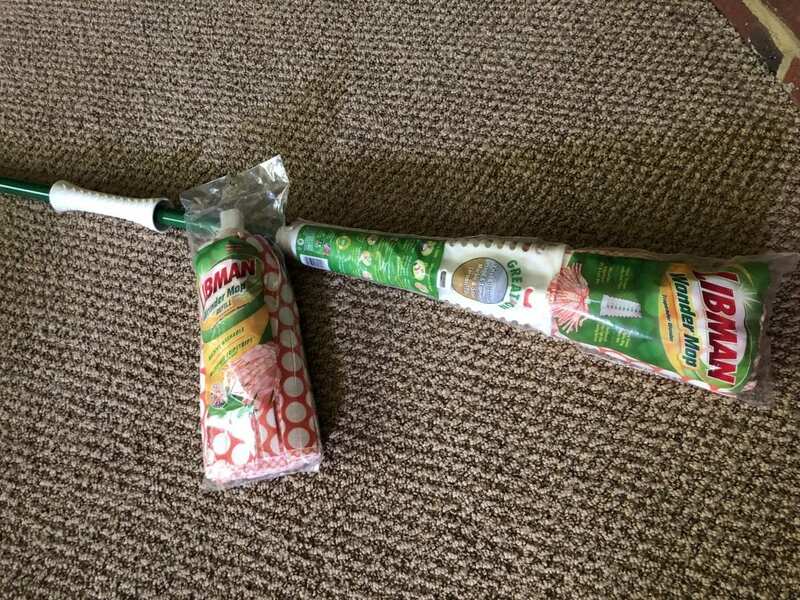 Here are two of the Most Important Things in my Fall Cleaning Toolkit: Homemade Floor Cleaner and a Wonder® Mop from the Libman Company. 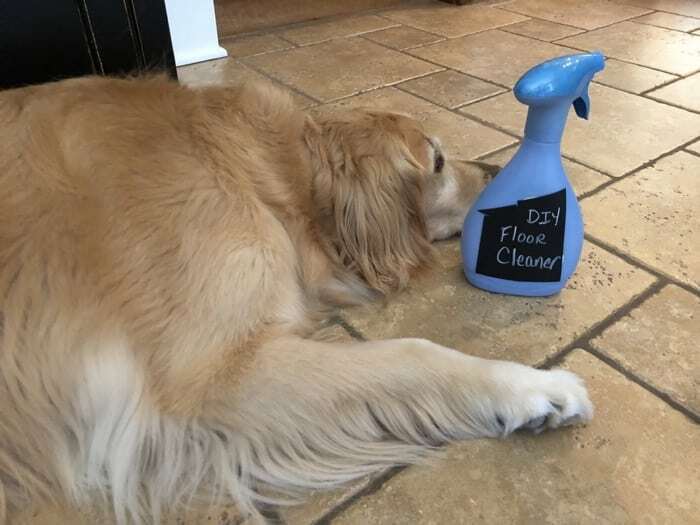 A good mop and a pet and kid friendly floor cleaner are priorities for me as my dog spends most of her days lying on my floor. 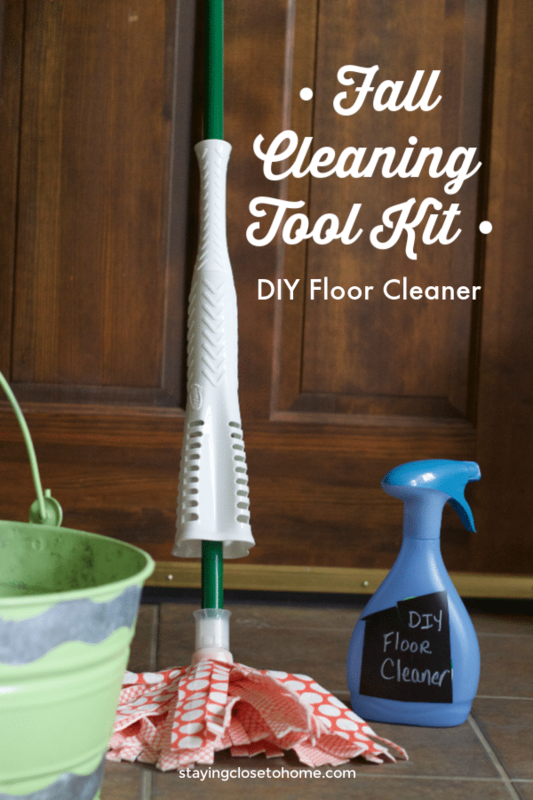 You probably have everything you need to make this homemade cleaner and a trip to any box store will provide you with the Wonder® Mop. 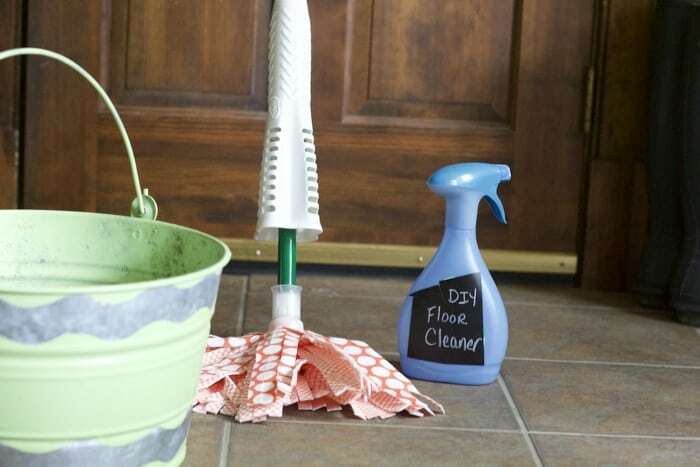 Don’t miss our 5 House Cleaning Hacks To Save Money post as well as Cleaning Tips With Chore Charts Ideas to get your kids involved in the cleaning process. Each Wonder® Mop has microfiber GRIPSTRIPS™ that lift up to 20% more dirt leaving your floors cleaner. With the power wringer you will be able to remove more water from the microfiber mop head allowing your floors to dry faster so you can be back on them sooner. With the kids back in school, it’s time to get the house back in order and with the ease of this mop, cleaning the floors will no longer be a chore. Be sure to grab this $3-off coupon available to those who sign up for The Libman Company newsletter.